Walgreens pharmacy is planning to buy the Rite Aid pharmacy chain – what will this mean for YOUR career as a pharmacist or pharmacy tech with either company? That is the real question on the mind of many of my friends today. What we are talking about is a merger that would potentially combine the 8,200 Walgreens stores with the 4,600 Rite Aid stores, making it the single largest drug store chain in the nation. The deal still needs to pass regulatory approval, but since 9.4 billion dollars are at stake – you can bet both companies did their homework. It is going to happen (in some form at least). We knew this was coming, right? After the news broke earlier this year about the CVS-Target deal, it has become abundantly clear that consolidation within this industry is inescapable. At this point, anyone who thinks that their pharmacy or pharmacy chain is NOT susceptible to merger or buyout is dreaming. Could it happen with Walmart? Of course. K-Mart? Why not? Giant Eagle? CVS and Walgreens are the only real “giants” right now. If your pharmacy chain isn’t purchased by one of these two behemoths, then it might just go out of business because it simply cannot compete financially any longer. That, folks, is where we are at. Back to my original question: What does this mean for your career as a pharmacist or pharmacy tech? First – This means that the retail pharmacy job market in many locations is going to go from bad to worse. In particular, with this deal, the Northeast will get hit the hardest. Walgreens will double their store density in many of the northeast states. This means, practically speaking, they will likely consolidate a significant number of locations in due time. No, this won’t happen overnight. But be advised that this is coming. Second – The impact of this consolidation will influence the job market in other pharmacy career paths also. If you think this won’t impact your job because you work for a hospital, PBM or long-term care…think again. Job markets are like an ecosystem. Disrupt 1 part of the ecosystem and you disrupt the whole jungle. Third – Don’t think that just because you work for Walgreens, your job is safe. It isn’t. I’m not trying to scare anyone. I’ve been watching the pharmacy career landscape for 20+ years. I have watched the proliferation of schools and what has happened as a result. I have seen really good pharmacists find themselves out of work and finally understand what I’ve been talking about. You must manage your own career. You. Not your employer. Not your pharmacy school. Fourth – Don’t panic. Those who panic tend to waste a lot of energy worrying, talking, and more or less getting nothing valuable accomplished. The energy you waste in panic-mode could be used to carefully and deliberately take some important steps toward managing your career. Personally I think Walgreens and Rite Aid are both good companies making a smart move to stay viable. This isn’t evil. This isn’t Armageddon. This is just business. Keep doing a great job being a pharmacist and taking care of patients. Don’t lose focus. We are hear to serve our patients and promote their health. A) Less than 1 in 50 will take me up on my offer. That is GOOD news if you are that 1, because it gives you an advantage over the other 49. I love pharmacists and pharmacy, but let’s be honest – we aren’t historically the most pro-active profession. We sometimes do more complaining than correcting. Been there, done that. 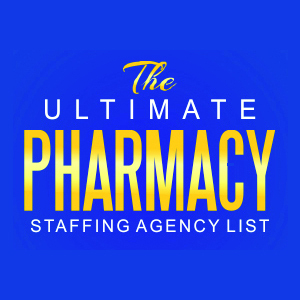 B) I have partnered with some of the best pharmacy resume writers in the industry. There are only a handful of them. They know the pharmacy job market and they know how to produce a stunning resume that will help you stand out from the crowd. Best of all, they have worked with enough pharmacists to know exactly what hiring managers are looking for in a resume. If you reach out to me, I’ll put you in contact with one of them. So if you are a pharmacist concerned about managing your career, especially in the wake of the recent mergers in our profession, I invite you to reach out to me. Simply fill out the form below, add your resume, and hit send. Even if you do NOT have a resume, just send me a message and ask for some help. I’ll make sure you get it.